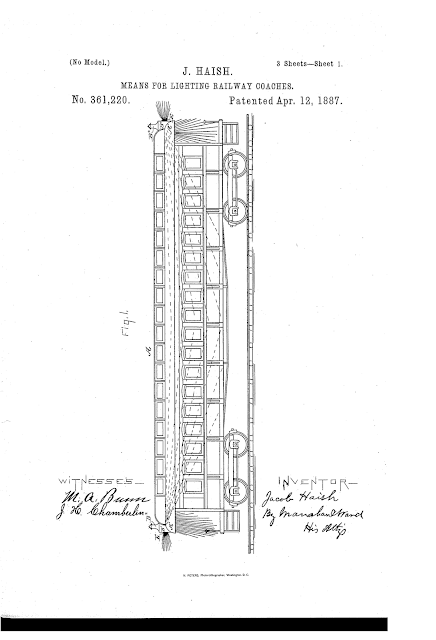 The patent below is for "new and useful Improvements in Lighting Railway Coaches." The application was filed October 14, 1886, and the patent was awarded April 12, 1887. Click the below images to enlarge. 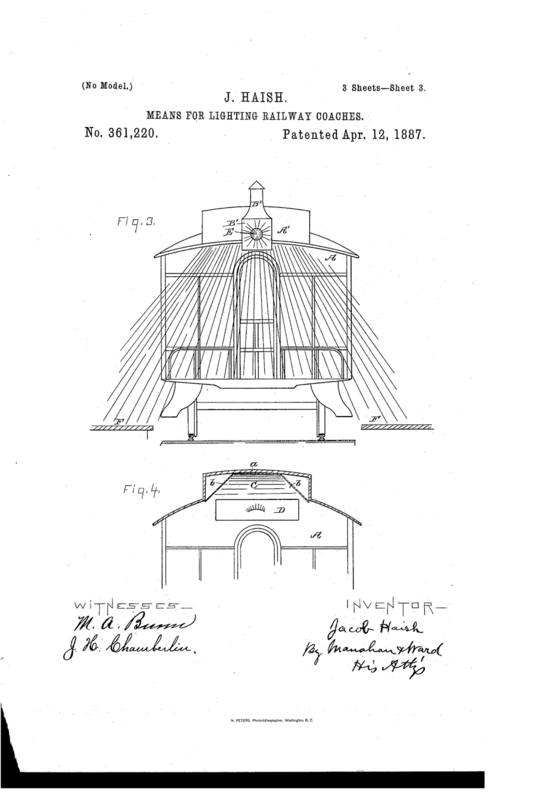 "This invention relates to improvements in simultaneously lighting the interior of the railway-coach and the platform, also in using the same light for a train-signal, all as will now be fully set out and described, reference being had to the accompanying drawings." 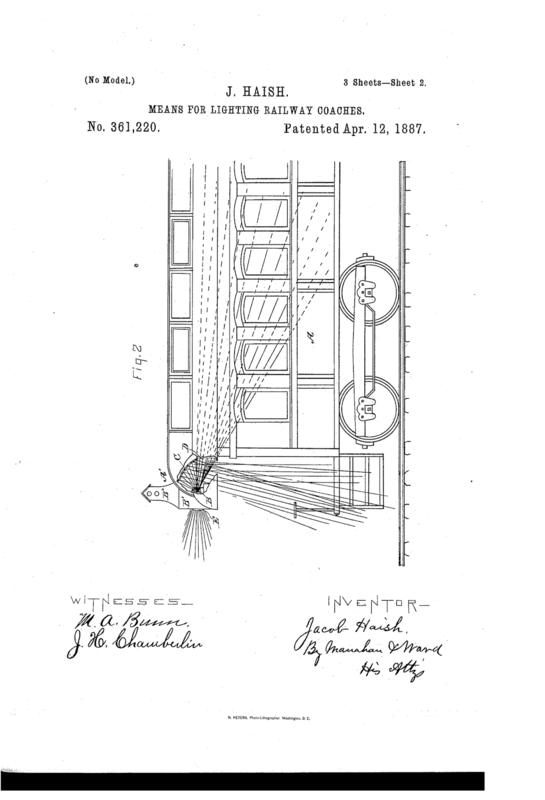 To read more from the patent description, click here.